Just before Christmas I was invited to a special crafting event for bloggers by Hillarys, but on the day my babysitter (aka my mum) came down with a sick bug. I was a tad gutted because I was looking forward to a child-free afternoon making baubles and bunting whilst being able to engage in adult conversation! Despite missing out, the lovely PR people for the event sent me the crafting materials so I could attempt them in my own time. Christmas is over now, so I won't bore you with the bauble, but I thought I would share with you my bunting, as it's super easy to make and good for all year round! 1. Lay the rope/string out flat and position the diamonds evenly with about 2 inches between each one. 2. Place the rope in the centre of each diamond and glue half of the diamond. 3. Fold the dry part of the diamond on top of the wet piece, making sure the rope is still in the centre of it. 4. Do this to all of your pieces and then leave it to dry. Easy or what?! 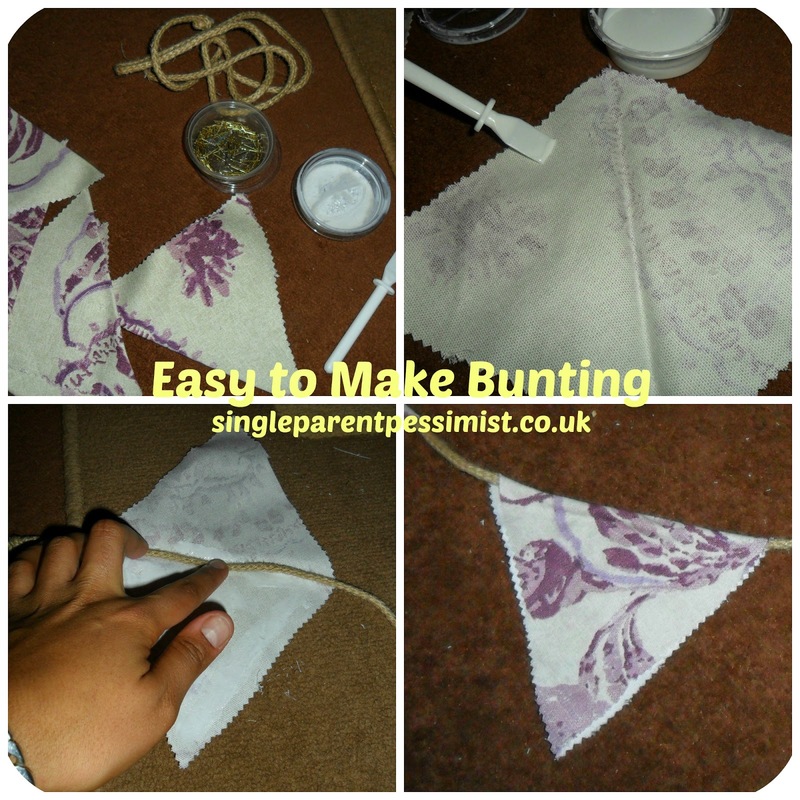 I love bunting as it can be done for parties, Christmas and just regular decor for your home. It's inspired me to start doing this with any bits of fabric that take my eye, and I loved the rope in particular as it gives it a shabby chic look that I love. Hillary's provided me with the equipment to make this bunting. No payment was received and all opinions are honest and my own.